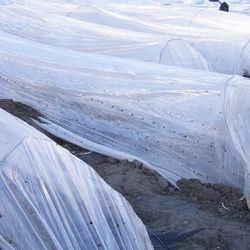 Pioneers in the industry, we offer plastic greenhouse film, silage stretch film, biodegradable mulch film, plastic mulching film, low tunnel film and mulching film from India. 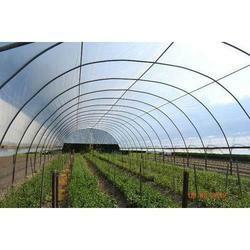 We are well known entity involved in offering supreme quality Plastic Greenhouse Film. We have invested in modernized R&D techniques to anticipate the challenging requirements for controlled environment and crop protecting climate variations. Ideal for greenhouse and farms the offered film is developed with help of advanced manufacturing methodologies. Fabricated from top rated raw materials the finest grade films are available in 180 and 200 micron thickness with options for light diffusion and anti fog additives. 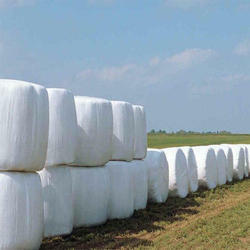 Silage stretch film provides an effective of airtight cover, one of the most important factors in successful bale silage production. 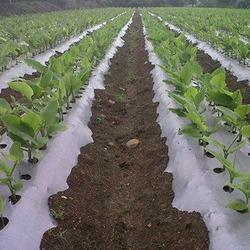 We are well known entity involved in developing high quality Biodegradable Mulch Film. These films are made from eco friendly material which is processed from plants and other raw materials. Ideal for changing the effect of local climate on crops these films are suitable for gardens, nurseries and agricultural farms. We are utilizing the next generation manufacturing techniques to present the robust grade mulch films that can be ordered in standard thickness specifications ranging from 25 to 30 micron at a leading price. 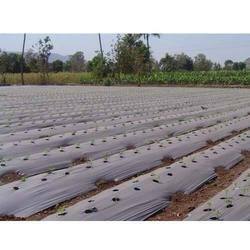 Leading Manufacturer and Exporter of Agricultural Films such as Plastic Mulching Film, Plastic Greenhouse Film, Silage Stretch Film, Bio-Degradable Mulch Film, Low Tunnel Film, Mulching Film and many more items from Kalol. 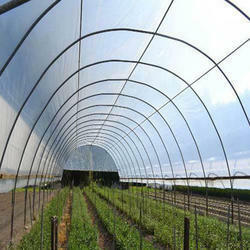 We have gained huge repute by developing high-quality Low Tunnel Film. These films are becoming widely popular for reducing temperature variation between day and night times at agricultural farms. Specially developed after conducting rigorous R&D on climate variation the offered films are developed by our trained professionals under strict quality supervision. Further, we are offering the highly demanded film in clear and yellowish color with additives for anti-fog and light diffusion at a leading price. We have complete allegiance in offering modern day Mulching Film. These films are demanded widely to reduce the climate effect on crops. Featuring optimum mechanical properties the offered film is widely utilized at greenhouses, nurseries, and agricultural farms. Developed from premium grade raw material the UV stabilized mulching film is ideal to create controlled environments. Further, we conduct rigorous R&D to present the application specific range of mulching film which is accessible in varying thickness levels and options for additives. Backed by our team of meticulous professionals, we are instrumental in providing best quality Greenhouse Film. Demanded widely for its premium quality our offered greenhouse films are gaining wide popularity across agricultural farms and gardens. Developed from flexible and thick polyethylene film the offered product is UV stabilized and confirms the highest manufacturing standards. Further, the offered product is accessible in varied thickness and custom lengths at a leading price.